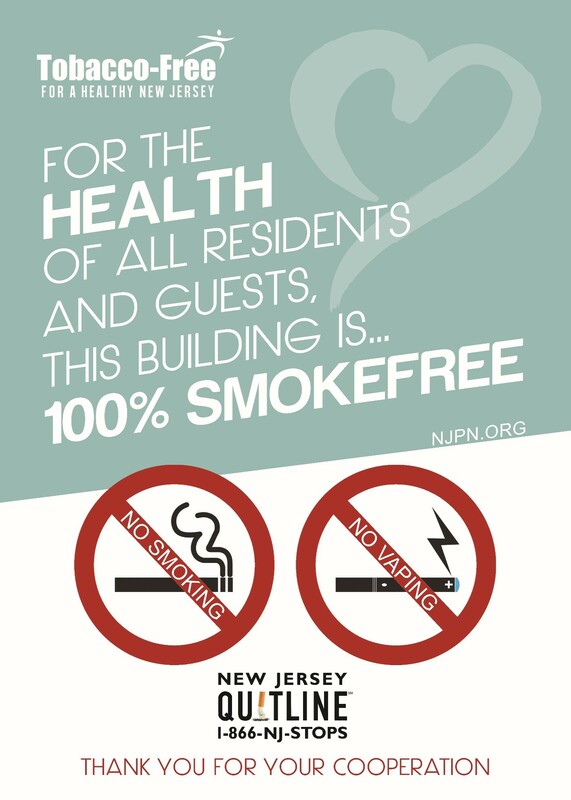 Under the Tobacco Free for a Healthy NJ Grant funded by the New Jersey Department of Health, NJPN is able to provide FREE signage to places that implement a smoke-free housing policy. Please fill out the form below to obtain signage for your building or property. Please indicate where you are from & the number of posters you would like. Please note: proof of policy must be provided to obtain Smoke-Free Housing Posters. If you have any questions please contact Jenna Giaquinto at jenna@njpn.org or call 732-367-0611.